The Sunday Night Football package is considered by most to be the top broadcast package in terms of quality of the schedule in all of the NFL and with this year's schedule below, it is easy to see why. Let's take a look at the 2016 schedule for SNF on NBC. All games will be at 8:30 and called by Al Michaels, Cris Collinsworth and Michele Tafoya. NBC hasn't shown an Oakland Raiders game since 2006 and I don't see them doing a Lion game like they did last year and they haven't aired a Rams game since 2010. I thought Mike Tirico was calling the games? He wil be calling the Thursday games on NBC with Chris Collinsworth starting on November 17th. The NFL blocked Mike Tirico from calling Thursday Night Football on NBC so Al Michaels will instead call Thursday Night Football on November 17. Why is Tirico filling in for Michaels? Al Michaels isn't getting any younger. Michaels is now 72 years old and has called a lot of NFL since NBC got back in the NFL business in 2006. It's my understanding that NBC bosses wanted to give Michaels a chance to recharge and likely groom Mike Tirico as Michaels' eventual successor on "Sunday Night Football". When that would occur...That part is hard to say. 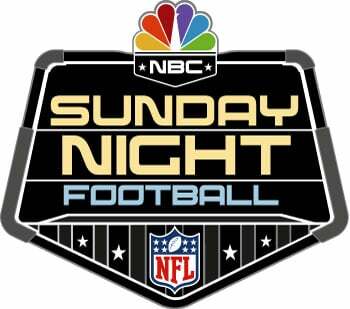 Week 14, Sunday Night Football should get 2 games both on NBC and NBC Sports network. Most of the nation will get the Dallas Cowboys at New York Giants (Al Michaels, Cris Collinsworth, Michelle Tafoya), but in Illinois, Wisconsin, Indiana, Michigan and Minnesota states will get the Chicago Bears at Detroit Lions (Mike Tirico, Doug Flutie, Heather Cox) on NBC. Please no name calling on this website though I think he's trying to make stuff up which looks like trolling to me. Dallas is this year's prime-time team. Week 15 game against Tampa Bay has been flexed to Sunday Night Football. Hmm...with Al/Cris/Heather Cox calling Bengals-Texans on Christmas Eve and Mike Tirico/Doug Flutie/Heather calling Ravens-Steelers on Christmas afternoon, I guess Al/Cris/Michele Tafoya will call Broncos-Chiefs Christmas night?